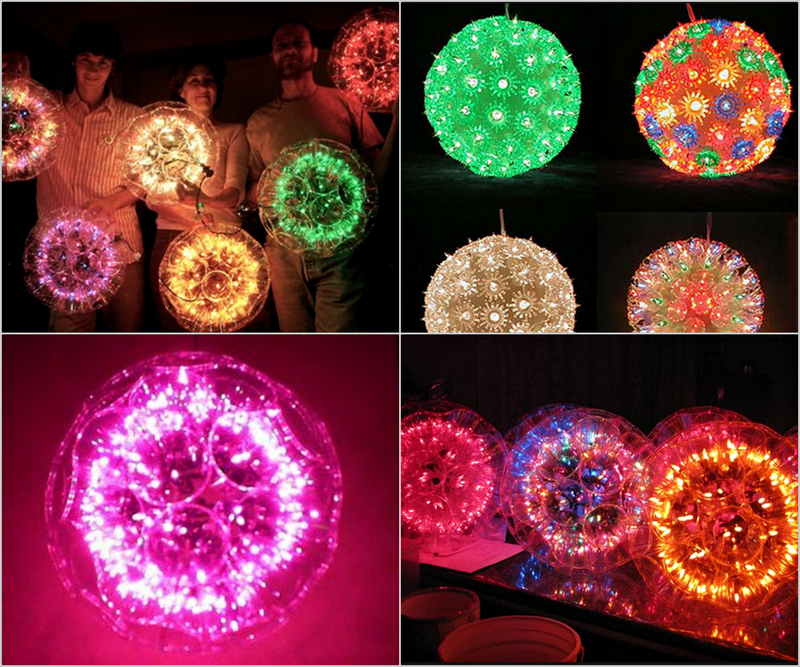 A sparkle ball is a magical ornament handmade from plastic cups and mini-lights. These mini-lights are put through the cup bottoms so that each cup turns into a reflective chamber. When the lights are turned on, you have a relatively large and beautiful sparkling sphere. You may choose single color lights or multi-color ones. These sparkle ball usually displayed at holiday or party time. It’s fun, easy to build and very cool looking!